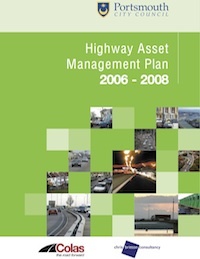 The Portsmouth City Council – Highway Asset Management Plan is available here. The Highway Asset Management Plan (HAMP) was developed as the first phase of an effort to create a TAMP for the Portsmouth City Council, therefore only a part of the agency’s assets are included in the scope, which will be used as a model to plan for other assets. The document also outlines agency goals, the relevant outcomes that would help to achieve the goals, and the method of delivery. Relevant sections include goals and objectives, an asset inventory, levels of service, planning and operations, service delivery, implementation, and communication and reporting practices. This document includes the following sections: Asset Valuation, Communications and Reporting, Current Methods and Tools, Data Management, Introduction, Inventory and Condition, Investment Strategies, Levels of Service, Lifecycle Management, Objectives and Measures, Performance Assessment, Process Improvements, Risk Management.